The Formlabs EU team is keeping busy. On Monday Berlin Web Week kicks off and we are taking the Form 1+ around the city for demos and workshops. It's that time of the year again. Spring is blossoming in Berlin, and like every year, Berlin Web Week returns with a dense program of events and conferences. This one-week festival focuses on current trends in the digital industry and society. The festival hosts events around the topics of internet, digital industries, technologies and digital media. This year, greater attention is given to hardware, wearable devices and 3D printing: of course, we couldn't miss it. We'll start the week off at re:publica, one of the largest and most exciting conferences about digital culture in the world. Our Form 1+ 3D printer will be demoing all day on May 5th within the #FASHIONTECH BERLIN area, where we will display some examples of amazing wearable devices and fashion items prototyped by our customers. At 3:30pm we will hold a workshop to teach the attendees how the 3D printing process works and how everyone can turn their ideas into reality with the Form 1+. The attendance is open, included in the re:publica ticket. 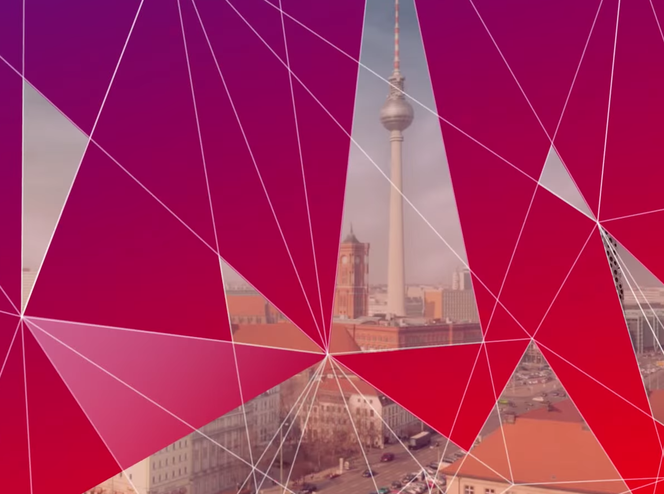 Watch the video below to see what #FASHIONTECH BERLIN is all about. On May 9th you will find us at ThingsCon, Europe’s leading conference on the Internet of Things, maker culture and new hardware. This 2-day event is aimed at designers, makers, startups, developers and really anyone interested in growing a hardware product from prototype to scaling business. If you're in Berlin, please get in touch and come meet us. We're looking forward to seeing you there.